Who is the real Haman? 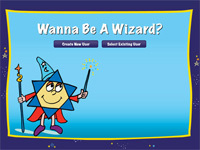 Mini-Wizards show off their Wizards Teams: Go Gold! Go Blue! I’m just a little angel! It is I! the evil Kings of Evil Land?